A gorgeous addition to living room or family room, the Amish Craftsmen Entertainment Center with Glass Doors features solid wood shelving to help organize your movie and music collection. Features glass doors and adjustable shelves for just the right fit. 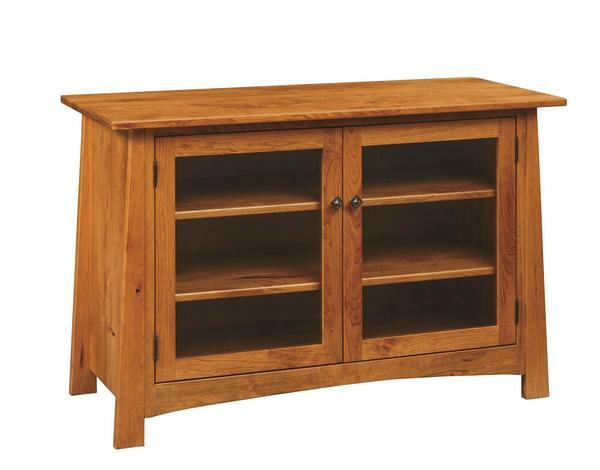 You can style the Craftsmen Entertainment Center with your choice of solid wood. Our Amish Furniture Specialists are happy to help. Please email or call us with any questions. Thank you for taking the time to shop DutchCrafters.